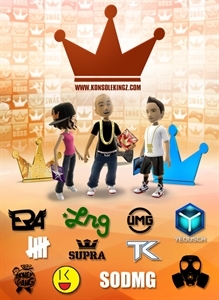 Soupy Jones teamed up with Konsole Kingz to be the headlining brand in the KKZ Urban Art series (KKZ UAS). The Soupy Jones brand brings an old fable to life with witty graphics and edgy humor. Für diesen Inhalt gibt es keine Rückerstattung. Weitere Informationen finden Sie unter www.xbox.com/live/accounts.